As 2014 comes to a close, BlackGivesBack caught up with ABFE President and CEO Susan Taylor Batten to learn more about their projects and accomplishments this year, and what’s on the horizon for Black philanthropy in 2015. 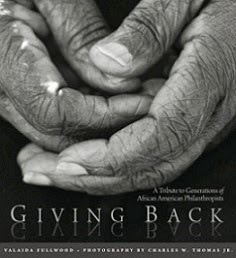 ABFE (Association of Black Foundation Executives), a membership-based organization that advocates for responsive and transformative investments in Black communities, was founded in 1971 and is credited with many of philanthropy’s early gains in diversity. Read on to learn more about their current projects in advocacy, professional development and networking and convening; highlights from their first-ever retreat for Black women in philanthropy; and how you can get involved in their work. As you look back over the year, what accomplishments are you most proud of? 2014 was an important year for us, namely because we had the full complement of staff that we’ve needed for so long to move our work forward. We added a new program assistant and a chief financial officer this year which gave us more capacity. With this team in place, I would highlight a few accomplishments of note. In the area of advocacy, we released two reports on philanthropy’s ability to engage and retain Black talent – one in the area of foundation program and executive staff and the other in the area of endowment management. In each of these areas, our research filled critical gaps relative to our participation in the field. As it relates to professional development, we were able to draw an exceptional cohort for the 2015/2016 Connecting Leaders Fellowship Program. 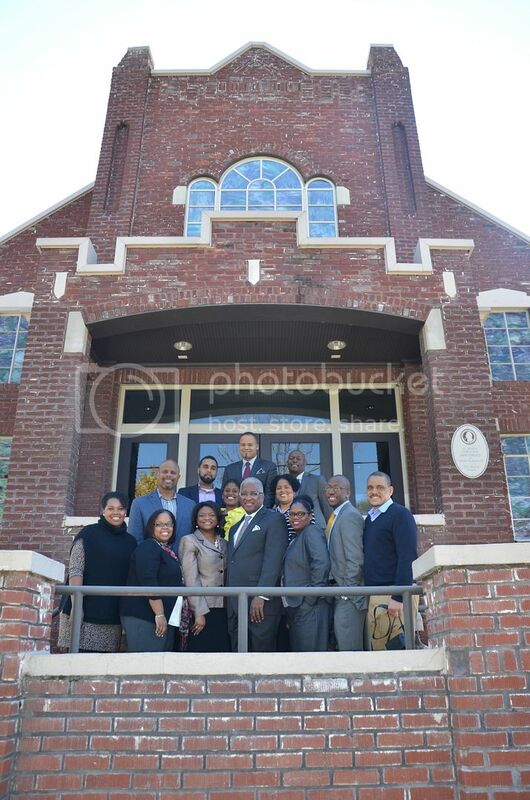 Their Leadership Summit held in Birmingham, Alabama provided as much learning for the ABFE Fellows as it did to bring resources to Black leadership in that city. We are excited about what might come to fruition in this city as a result of our week-long Summit there; a place that has such importance to our history as a people. 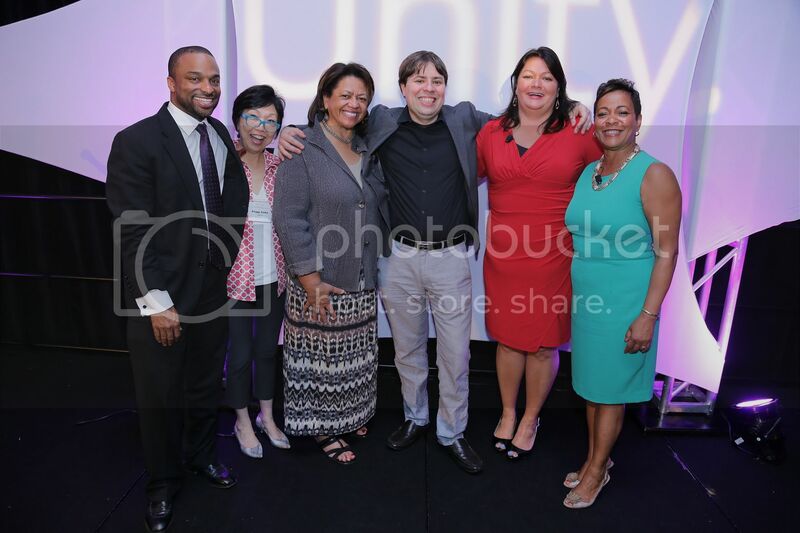 Relative to our networking and convening, it also is important to name the Unity Summit held in partnership with our colleagues of the Joint Affinity Groups (JAG) in June. Rather than hosting our two day conference, we joined with JAG representatives of Asian Americans and Pacific Islanders in Philanthropy (AAPIP); the Women’s Funding Network; Native Americans in Philanthropy; Funders for LGBTQ Issues and Emerging Practitioners in Philanthropy to host one event focusing on advancing equity for all communities. 2014 was indeed a busy year! This year ABFE released two significant reports, one that shed light on the decreasing number of black professionals in philanthropy, and the other a case study of W.K. Kellogg Foundation's work to engage minority investment managers. What has been the response to these reports and what are next steps? Both publications were well received. The Exit Interview was our first look at the issue of retention of Black professionals in the field of philanthropy. Many reports out there have focused on the recruitment of professionals of color or how to help them advance – we wanted to know why people were leaving because national data (and our anecdotal information) suggests that there has been a slight decrease in the number of Black program officers in the field. I think this provided a different perspective on the issue and the report gained traction across the country. I believe that if we don’t see more dollars targeted to communities of color, particularly as this country gets browner, we will not be able to retain diverse talent. We produced the report in partnership with the Black Philanthropic Network and we will work together to advance next steps that are spelled out in the report’s recommendations. The report, Who Manages the Money? How Foundations Should Help Democratize Capital is part of an ongoing series of reports we are producing about the field’s inability to engage Black talent in another area of philanthropy – investment management. We are so thankful to the W.K. Kellogg Foundation and the leadership of LaJune Montgomery Tabron for sharing this case study and partnering with us to get it out to the field. There is an entire research base that suggests that Black investment management firms perform as well as mainstream investment firms yet they don’t have access to opportunities in the field. Same old story, right?! But we also know that many of these firms are important funders and donors to Black communities so their access to business opportunities helps to support our children, youth and families. Our Smart Investing Initiative aims to increase the number of minority and women-owned firms managing foundation endowments and we will continue our efforts to educate the field on these issues with reports, webinars, conferences, etc. In addition, our new Directory of Minority-and Women Owned Investment Manager Firms is now available on our website that includes minority managers of all asset classes for the field to further research. We often hear the excuse, “we can’t find any!” With this database, that is not an excuse anymore. 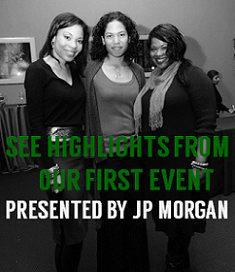 Tell us more about the Black Women in Philanthropy retreat ABFE recently hosted. Yes, this was a major highlight of the year as well. In October, ABFE convened the first-ever Black Women in Philanthropy Leadership Retreat. This gathering was nothing less than phenomenal and made us realize that we never have had a space designed solely for Black women in the sector. 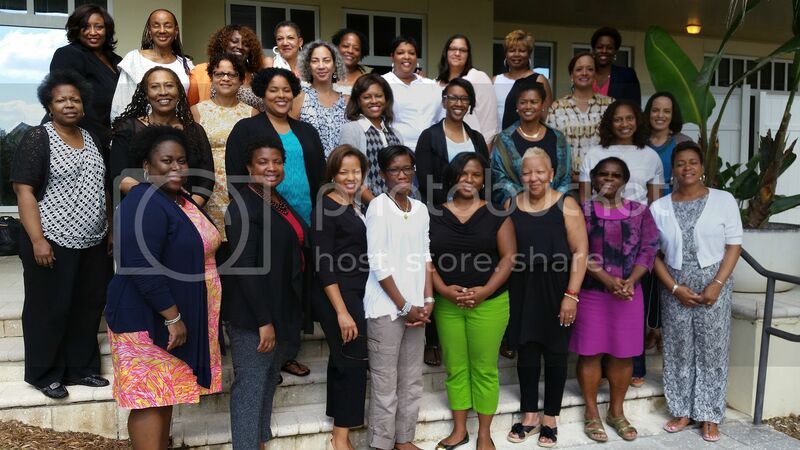 Thirty Black women from around the country gathered at Sheila Johnson’s Hammock Beach Resort in Palm Coast Florida for three days of learning, exchange and support. We addressed issues of work/life balance; philanthropy’s role in improving outcomes for Black women and girls and strategies to strengthen the network of Black women leaders in the field. Amazing sisters planned the event including Sherece West Scantlebury of the Winthrop Rockefeller Foundation; Karen McNeil Miller of the Kate B. Reynolds Charitable Trust; Gladys Washington of the Mary Reynolds Babcock Foundation; Toya Randall of Casey Family Programs and Dani Johnson of Special Gathering. Susan L. Taylor, Editor Emeritus, Essence Magazine was our special guest and inspired all of us to love ourselves and each other so we can work on behalf of our people. I have never had an experience like this before and this event may clearly become an annual gathering. You recently served as the featured speaker for The Black Benefactors Member Dinner Series on the topic, “The Power of Black Giving.” What were some highlights of your presentation? What does ABFE have planned for 2015? After a good holiday break (smile), we are excited about 2015. A major body of work will be in the area of Black philanthropy – namely, our outreach to, and partnership with, Black civic organizations. With the support from the W.K. Kellogg Foundation, our Catalyzing Community Giving Initiative will provide us with the capacity to reach out to our own philanthropic organizations – Black fraternities and sororities and groups like The Links, Inc., -- to mobilize philanthropy for our community. We want to build our work in the area of Black giving in ways that leverages mainstream philanthropy. I think it can be done and ABFE can play an important role in connecting the dots. How can readers get involved and support ABFE’s work? ABFE is the center of effort and energy around responsive philanthropy in Black communities. We are, with you. We can use your support in a few key areas: contributing articles and/or blogs about what works in Black communities to distribute to our network; volunteer support at a national conference or regional meeting; and donating to our work through membership or sponsorship at http://www.abfe.org/member-center/. Visit the website at http://www.abfe.org/.